Sarah Lindenau is a respected and reputable American freelance hockey writer, analyst and Red Wings expert. She has followed the Detroit Red Wings for the past 15 years. Since 1997, she provides the most in depth coverage of the Red Wings training camp and prospects tournament. Known as a contributor to redwingscentral.com and theleftwinglock.com, Sarah has also written for the official Detroit Red Wings training camp program and prospects tournament program. She has also had her work featured in a daily newspaper called The Traverse City Record-Eagle. Recently, Sarah granted me an exclusive interview. Here is what she said about her writing, experiences, her memorable memories, as well as her thoughts on some Czech and Slovak prospects in the Detroit Red Wings' system (for the Slovak version, please click here). MU: You are known as a freelance hockey writer and analyst. When did you first consider a career in freelance writing and what interested you about the field? SL: "I actually started covering the Red Wings at their second training camp in Traverse City back in 1997. I had been approached by Matt Wuest who was then writing for hockeysfuture.com. In later years he branched off to a site called thewingedwheel.com which is now defunct. Finally he started with redwingscentral.com and I have contributed to that site ever since." SL: "I actually have a full time job outside of hockey that pays my bills, but hockey and particularly the Red Wings are my passion. I have had several of my photos and articles picked up publications both in Canada and Michigan so maybe one day I might actually transition to covering hockey full time. For now, though, I like to think of myself as the fans reporter as I cover things that the mainstream media neglects like Detroit's prospect development camp or the NHL prospects tournament. I will keep doing it as long as I can afford it!" MU: You have followed the Detroit Red Wings for the past 15 years. What is the most rewarding part about covering the Red Wings? SL: "During my first year covering the training camp, I sat in the stands with a clipboard. After that, I had a press pass which gave me unique access. I had to learn how to interview players and get over being star struck. It still never gets old to have Steve Yzerman say hello to you or the management staff to recognize you from year to year. I love the game so just getting a chance to be up close and personal each year is amazing." SL: "I have also developed a lot of friendships with players over the years. I get to know them as young prospects when none of the other media is paying attention to them. 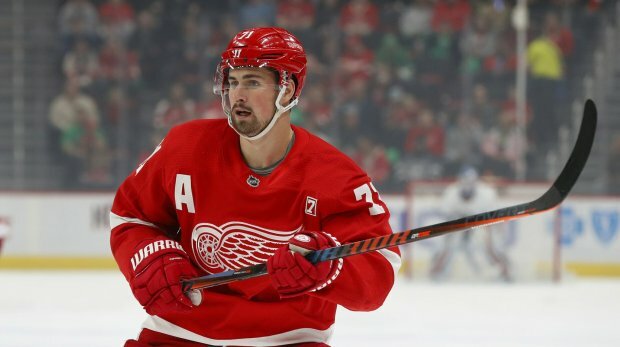 I have watched guys like Pavel Datsyuk, Henrik Zetterberg, Valtteri Filppula, Jimmy Howard and Darren Helm develop and grow into cornerstones of the organization and I have had the honor of writing about them before most of the mainstream media took notice." MU: Do you recall attending your first Red Wings game? SL: "Surprisingly, my first Red Wings game was in Washington, D.C. against the Capitals. I live outside Washington so most of the games I go to are here in D.C. I don't recall my actual first game, but the game I remember most is game four of the 1998 Stanley Cup final. I was in the nose bleed section with my Yzerman jersey on. 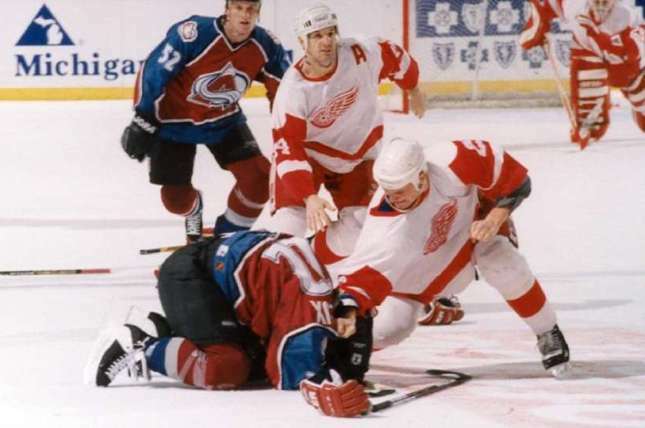 It was amazing to see them win it all and give the cup to Vladimir Konstantinov." SL: "Before I relocated to Washington, I had season tickets to the Michigan State hockey games while I was a student there. It was always great hockey and college rivalries are some of the best in hockey." MU: The Detroit Red Wings are often recognized for several off-ice activities. Do you have some memorable one? SL: "Well not living in Michigan, it is difficult to participate in these activities. I am very supportive of the activities the Red Wings hold during training camp as the proceeds typically helps a charity or the Centre I.C.E. Arena operations fund. I have also enjoyed the humane society calendar pairing players with shelter dogs in the past. I am an animal lover myself so those are causes near to my heart." MU: Who is your favorite Detroit Red Wings player? SL: "That is tough as there are so many! 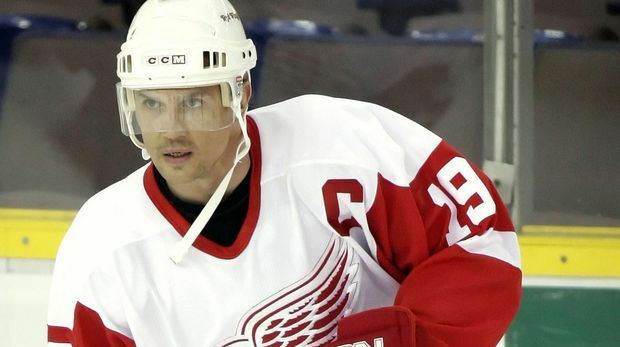 Steve Yzerman and Brendan Shanahan will always hold a special place in my heart. I was a huge fan of Doug Brown during the 1997 - 1998 cup runs. I loved that he was the only American on those teams and yet he fit in with the Russians so well." 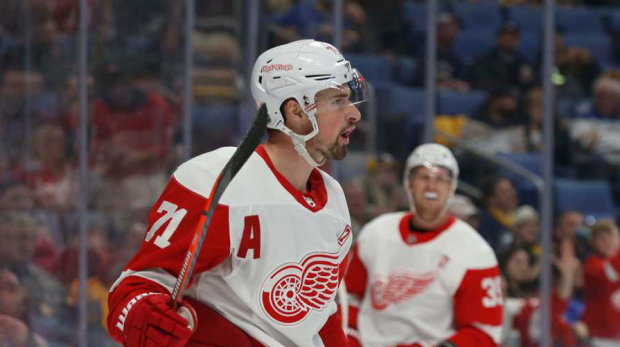 SL: "Currently, it is tough to have a favorite since most of these guys I have watched before anyone knew them, but on the current team I would have to go with Pavel Datsyuk. I still remember the year he came over and played in the prospects tournament and no one knew who he was or if he would be able to keep up with the NHL style of play. He was amazing in the tournament and has gotten better every year." MU: I know you interviewed Stefan Liv for few times. How do you remember him? SL: "I interviewed Stefan when he came over for a prospect development camp several years ago. He had been in the Wings system a number of years already and he wanted to sign with Detroit but they weren't ready to sign him. He wanted to prove to them he could take the next step and play in North America. He wasn't frustrated, but he was determined. A few years later he did sign and he came back to Traverse City for training camp that year. He was so happy to have a chance to finally play North American hockey." SL: "As a person, Stefan was so easy going and never let anything rattle him on or off the ice. He was a class act and a true champion. When I learned he was on the Lokomotiv plane that crashed last year my heart broke for his two young sons and his wife. He fought for everything he accomplished on the ice, but he was such a likable guy that our conversations have stayed with me to this day. On the ice he was a bit flashy with his painted goalie masks and crazy victory celebrations, but off the ice he was quieter and always smiling. That will be how I always remember him." MU: As a contributor to redwingscentral.com, you have covered many training camps and prospect tournaments in Traverse City. Which training camp / prospect tourney was the best? SL: "It's tough to say. Each camp and tournament has their own story. There was the year Jason Williams came and tried out for Detroit and forced his way to a contract. Pavel Datsyuk coming over from Russia as an unknown and playing his way onto the team was a lot of fun to watch. Dan Cleary trying out as a reclamation project in the main training camp a few years ago only to earn a regular (spot) was also great to see. 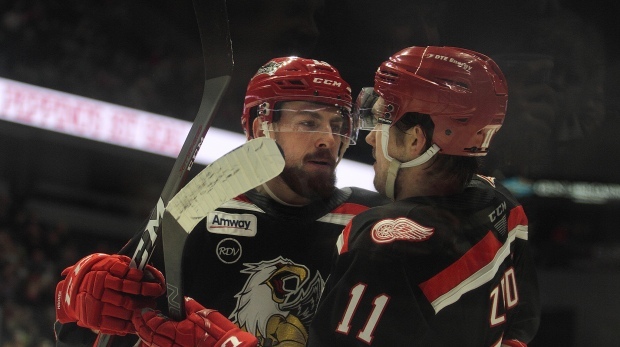 I remember consoling Chad LaRose, who now plays for the Carolina Hurricanes, after trying out with Detroit for the third time and not getting a contract. I love that he overcame that and went on to prove them wrong. Mostly, though it is just watching the prospects develop from year to year and improve their game that is the most fun. They each have interesting stories to tell so I try and bring those out in the articles I write." MU: Many European fans believe that Tomas Jurco and Petr Mrazek could become NHL stars. Do you agree? SL: "I definitely agree! I think the Wings have built a strong contingent of Czech and Slovak prospects over the past few drafts that could be staples for Detroit in years to come. I also think Tomas Tatar still could play a role in the NHL - he has the drive and skill to do it for sure. I have talked to a lot prospects over the years and Tatar is the most mentally mature prospect I can remember in years." SL: "As for Jurco, he is so skilled and smart that I think he has a real chance to make an impact at the NHL level. I love that he has size as well and the Wings are lucky to have him especially where they drafted him. I can't wait to see what he does in Grand Rapids this season but I expect him to play in the NHL in a few years." SL: "From the first game I watched Petr Mrazek play, I knew he was going to be an excellent prospect. Talking to him off the ice, he has a good head on his shoulders and he doesn't ever over think things. With goalies the mental game is such a key element and Petr already has that part of his game in place. He's focused, competitive, and athletic which are all great qualities for a goalie. Wings fans are going to love this guy in a few years time. His transition to the AHL will be interesting to watch but I think the long term potential for him is very high." 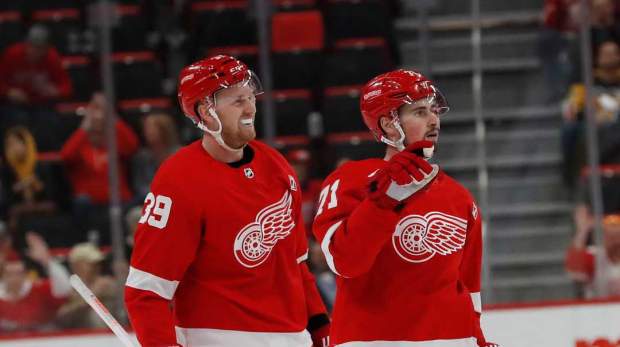 MU: Do you keep in touch with any of former Red Wings prospects? SL: "I keep in touch with a few of the tryouts. Last years goalie tryouts, Evan Mosher and Ramis Sadikov are friends on Facebook. Beyond that I typically keep it professional. I also keep in touch with a few of the current prospects through social media and Email." MU: Could you introduce your blog called The Left Wing Lock? SL: "I started the blog over a year ago to get more of my work out there on a more regular basis. I like having the freedom to write on whatever topic I choose as long as it is related to hockey. Unfortunately with the lockout I am not doing too much with it right now, but during the prospects tournament, development camp and training camp I had more regular posts. Once the season starts I hope to post more frequently. I cover any subjects related to the Red Wings including their prospects and sometimes I cover hockey topics related to the NHL." MU: How did your current appearance on The Vic McCarty Show come about? Can you tell us something about the show? SL: "I actually met the producer of the show at training camp and she told Vic about me. He had me on for the first time two years ago and then it became a recurring appearance. The Vic McCarty Show is a radio program in Northern Michigan and this show covers all topics, but Fridays are reserved for sports. I appear every other Friday for them and sometimes more frequently if news is breaking." MU: Is there something you want to say to all Red Wings fans in Czech Republic and Slovakia? SL: "I just think it is cool that there are fans all around the world and the Czech Republic and Slovakia have produced so many outstanding hockey players that it is great to see the Wings fan base deeply imbedded in those countries. At the end of the day we may have cultural differences but hockey can certainly bridge the gap so that is pretty amazing!"